REUTERS/Gary CameronA technician inspects United States one dollar bills during production at the Bureau of Engraving and Printing in Washington. Do you have a dollar bill in your wallet right now? Chances are, the answer is yes. But did you know how much work went into creating that bill? It’s likely more than you ever expected. 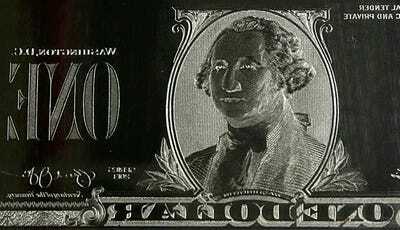 Hundreds of hours of labour go into making a dollar bill, from the special process used to create the paper it’s printed on, to the printing, analysing, cutting, packaging, and shipping to banks. 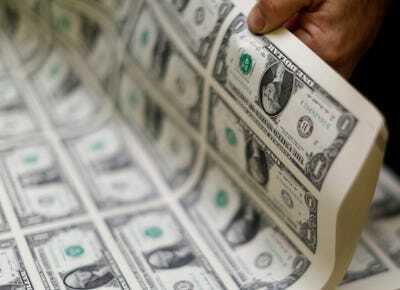 Each bill must be perfect, according to the US Department of Treasury’s standards, and the Bureau of Engraving and Printing, which is tasked with creating all paper money, goes to great lengths to meet its specifications. 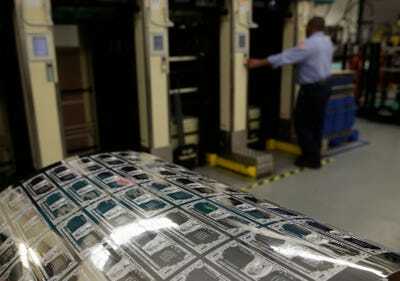 Go behind the scenes at the BEP’s Washington, DC facilities to see how dollars get made. 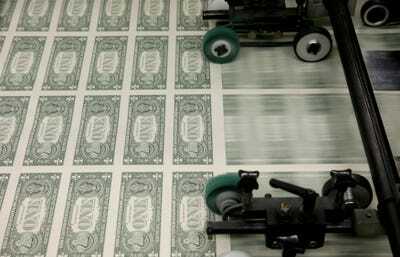 Dollar bills are printed in multiples on large sheets of special paper that is 75% cotton and 25% linen, created for more durability. Bills over $1 have red and blue strands woven in for security purposes. Dollar bills do not have this feature. 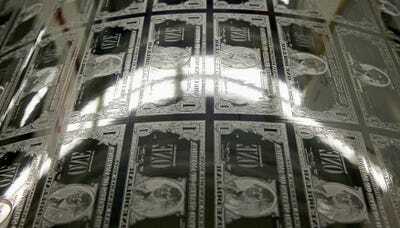 The image of the dollar bill is engraved onto giant steel plates. 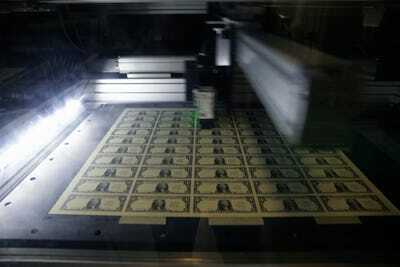 All physical monetary production is overseen by the Bureau of Engraving and Printing, which has printing facilities in Washington, D.C. and Fort Worth, Texas. These sheets of soft steel are then curved slightly and bolted onto a printing cylinder. Ink is added and then wiped off, leaving only ink in the engraved, recessed areas of the plate. Around three tons of special ink are used a day. The special sheets of paper, together in massive rolls, are then fed through the machines as they rotate, exerting 20 tons of pressure from the top and the bottom. These machines can print around 8,000 sheets per hour. The sheets go through several different rounds of printing, using multiple types of ink and different processes. Much of the operation is automated. The sheets are then examined for any defects by hand. Defective sheets are destroyed. 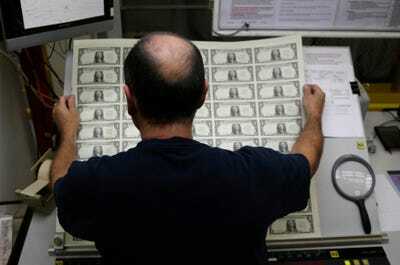 Sheets of bills also pass through a state-of-the-art computer scanning process that also checks for inconsistencies. 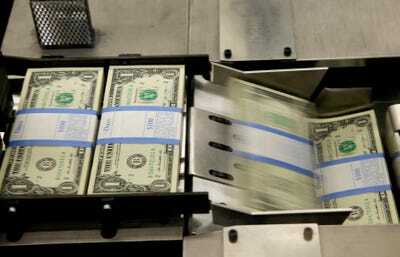 One-dollar bills are checked by a machine known as a Nota-Sav. Higher bills are checked by a different program, as they include more security features. The approved sheets are then stacked in piles of 100 and are cut and separated into individual bills. In another automated process, the freshly cut bills are separated into stacks of 100 and bound by paper bands which mark the denomination. 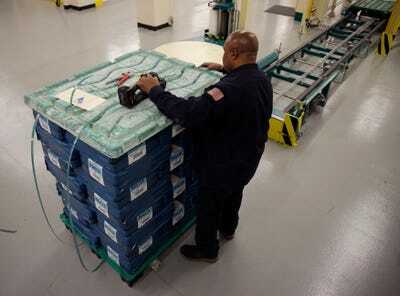 Ten of these stacks are shrink-wrapped to form a bundle. Four bundles are then shrink wrapped again to make a brick, each holding $4,000. These bricks are labelled with a barcode and then packaged on skids and shipped all over the country. 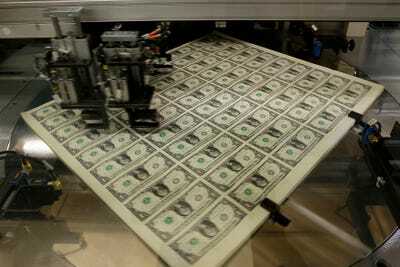 In 2013 alone, 1.79 billion one-dollar bills were printed. 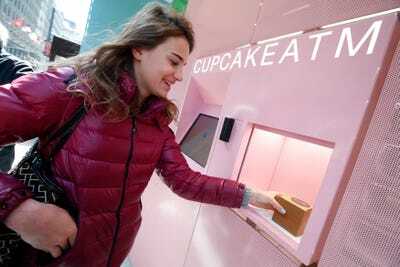 Now see what you can buy with your dollar bills!